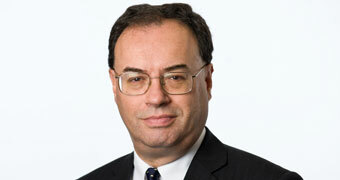 Speech by Andrew Bailey, Chief Executive of the FCA, at Bloomberg London. Andrew Bailey examines important questions about the future of LIBOR. While significant improvements have been made to LIBOR since April 2013, the absence of active underlying markets raises a serious question about the sustainability of the LIBOR benchmarks that are based upon these markets. Panel bank support to sustain LIBOR until end-2021 will enable a transition that can be planned and executed smoothly. Work must begin in earnest on planning the transition to alternative reference rates that are based firmly on transactions. I am going to talk this morning about LIBOR. That often causes an intake of breath! LIBOR, or more precisely the London Interbank Offered Rate, has been given many column inches over the past ten years. Before the financial crisis, most people hadn’t heard of LIBOR, even though it is a key part of the functioning of financial markets. It grew up so to speak with the eurocurrency markets, and like a number of things that came to be a focus of attention in the financial crisis, before then it was largely taken for granted, part of the financial landscape. My remarks today will not go over the details of LIBOR’s past scandals, but instead examine important questions about the sustainability of the LIBOR benchmarks, the way that LIBOR is used now and in the future, and give an insight into the work that we, and our domestic and international partners, have been doing to reform the interest rate benchmark landscape. Can I also be very clear about one other related point. What I will say this morning does question the sustainability of LIBOR in its current form, but this is not because we suspect further wrongdoing or have any evidence of such. In short – my remarks will concern the future of LIBOR. We at the FCA have regulated LIBOR since April 2013. Since then, significant improvements have been made to LIBOR through the work of its administrator, ICE Benchmark Administration (IBA), and the work of the twenty panel banks that submit contributions to the benchmark. Together they have introduced a step change in the quality of governance around submissions to this important reference rate. For example, IBA has put in place an oversight committee to provide independent challenge on how it is operating the benchmark and on the underlying methodology for creating it. It publicly consulted on plans that would, where feasible, tie the rate more closely to transactions rather than judgements. We at the FCA have regulated LIBOR since April 2013. Since then, significant improvements have been made. Firms submitting to LIBOR have, rightly, made significant investments in their controls around submissions. Each submitting bank must now have a senior executive responsible for benchmark contributions as part of our Senior Managers regime. These changes have been made in careful consultation with the FCA, and, where appropriate, other regulators and central banks. One of the aims of this reform, highlighted in the Financial Stability Board’s July 2014 report on Reforming Major Interest Rate Benchmarks, has been to try to anchor LIBOR submissions and rates to the greatest extent possible to actual transactions. This is to ensure the rate is genuinely representative of market conditions. That change, however, has been more difficult to realise than the governance improvements. This is not because the administrator or panel banks do not want to base their submissions on transactions. It is not because the composition of the current panels is unrepresentative of the underlying market, and transactions in that market. It is because the underlying market that LIBOR seeks to measure – the market for unsecured wholesale term lending to banks – is no longer sufficiently active. To take an extreme example, in one currency–tenor combination, for which a benchmark reference rate is produced every business day using submissions from around a dozen panel banks, these banks, between them, executed just fifteen transactions of potentially qualifying size in that currency and tenor in the whole of 2016. LIBOR is sustained by the use of “expert judgement” by the panel banks to form many of their submissions. Last month, the FCA launched an exercise to gather market data from 49 banks to ensure we have an up-to-date picture of which banks are the most active “actual and potential” participants in unsecured wholesale bank borrowing and related markets. This data gathering is not yet complete, but data from IBA and from central banks indicate that there are relatively few eligible term borrowing transactions by any large banks – i.e. these banks receive few loans or deposits of a twelve, six or even three month term from other banks or eligible corporate depositors. We will have a fuller picture once we have received and analysed the returns from the banks. But, on the basis of what we can currently observe, activity in these markets is limited, and there seems little prospect of these markets becoming substantially more active in the near future. The absence of active underlying markets raises a serious question about the sustainability of the LIBOR benchmarks that are based upon these markets. If an active market does not exist, how can even the best run benchmark measure it? Moreover, panel banks feel understandable discomfort about providing submissions based on judgements with so little actual borrowing activity against which to validate those judgements. Over the past years I, and my predecessors and colleagues at the FCA, have spent a lot of time persuading panel banks to continue submitting to LIBOR. We have been concerned that withdrawal of panel banks would weaken the representativeness and robustness of the rate. And we have been concerned about the risk that if one or more banks leave, other panel banks would want to do the same. In the worst case, departure of panel banks could make production of a robust LIBOR interest rate in the current manner impossible. That would leave counterparties to and holders of contracts in which payments are determined by reference to LIBOR rates without an agreed means of determining those payments. The absence of active underlying markets raises a serious question about the sustainability of the LIBOR benchmarks that are based upon these markets. We could not – and cannot – countenance the market disruption that would be caused by an unexpected and unplanned disappearance of LIBOR. I am therefore very grateful to those panel banks which have continued their submissions despite their discomfort. LIBOR is a public good, and it is in the interests of all involved that we sustain the current arrangements until such time as alternatives are available and transition arrangements are sufficiently well advanced, the subject I will come to shortly. UK and European legislation does give us the power to compel banks to contribute to LIBOR where necessary. We will use those powers if we need – though we would much prefer not to have to do so. The nature of the powers will change once LIBOR is designated as a critical benchmark under the European Benchmark Regulation, and our consultation launched on 12 June set out our thinking on how we would use our powers in the light of the requirements in that Regulation, were it necessary. But we do not think it right to ask, or to require, that panel banks continue to submit expert judgements indefinitely. Indeed, the powers available to us under European Benchmark Regulation, do not allow us to compel indefinitely. In our view it is not only potentially unsustainable, but also undesirable, for market participants to rely indefinitely on reference rates that do not have active underlying markets to support them. As well as an inherently greater vulnerability to manipulation when rates are based on judgements rather than the real price of term funding, there are a host of questions about whether and how such reference rates can respond to stressed market conditions. Again, I am not suggesting there are problems today, but we should act to deal with identified vulnerabilities. It is also apparent that for many of the contracts for which term LIBOR is used as a reference, there is not a real need to capture in the reference rate a measure of term or bank credit risk premia. For example, LIBOR derivatives are frequently used to take or hedge a position on the general level of interest rates, including future expectations of policy rates. But no term or credit premium is necessary for these purposes. LIBOR is also widely used in loans to non-financial corporates, and, in some countries, even in retail financial markets to calculate the interest that a consumer pays on a mortgage. It is difficult to see a benefit to the corporate or retail borrower from having increased interest payments if bank credit quality declines and LIBOR rates therefore increase. It is easier to understand why a prudent bank might want to match interest income with outgoing interest payments on its liabilities, but to the extent banks are no longer funding themselves through term wholesale unsecured money markets – as the lack of underlying transactions in our data suggests – from this perspective too, LIBOR may be a less useful benchmark than it used to be. Our conversations with market participants suggest that the most common reasons for using LIBOR reference rates are that others already use LIBOR, that alternative reference rates are less well established, and that contracts referencing alternative reference rates are less liquid. That situation can – and should – change. Some key steps towards that change have recently been taken, notably the consensus that has been reached among derivative market participants on the preferred alternative reference rates. In April, the Risk Free Rate Working Group here in the UK selected reformed SONIA as its proposed alternative benchmark. In June the ARRC (Alternative Reference Rates Committee) in the United States announced its choice of a broad Treasuries repo rate. Both of these benchmarks have the benefit of being anchored in significantly more active markets than term LIBOR. Neither involves expert judgement. In both cases, issues about fairness with regard to who is on or is not on panels, fall away, as transaction data are collected from all relevant market participants by the relevant central banks. The euro’s overnight rate EONIA, Swiss SARON and Japan’s TONAR also benefit from being anchored in overnight markets. Earlier this month the Bank of England convened a round table to discuss and help co-ordinate derivative market participants’ plans for transitioning to the chosen near risk free interest rate benchmark for sterling. Similar work on paced transition is also underway in the US. Given the question marks about the sustainability and desirability of relying on LIBOR into the medium term, this transition work is of central importance to reducing the risks from financial markets’ current dependence on LIBOR. But this transition away from LIBOR will take time. The transition will be less risky and less expensive if it is planned and orderly rather than unexpected and rushed. And a further lesson of the past few years is that work on transition is unlikely to begin in earnest if market participants continue to assume LIBOR will last indefinitely. In Switzerland, for instance, it has been clear for some time that the TOIS reference rate would not survive. But only once a date was agreed for its discontinuation – 29th December this year – did serious work on transition to the new reference rate, SARON, begin. In recent months we have talked extensively with the 20 panel banks that currently both sustain and rely on LIBOR, as well as central banks and regulatory authorities in other jurisdictions about how much time would be required for an orderly transition away from the current widespread use of LIBOR. We have found a pretty wide consensus that LIBOR is so pervasive, used for so many different purposes in so many different jurisdictions, that several years would be needed. Most thought it would be challenging but could probably be achieved within four or five years, but not less. The transition away from LIBOR will take time, but will be less risky and less expensive if it is planned and orderly rather than unexpected and rushed. Most noted that it would be extremely difficult to amend contractual terms across all legacy contract holders even in a period longer than four to five years. The panel banks all rely on LIBOR for their own businesses, so are keenly aware of transition costs and risk. They also carry the cost and risks of submitting expert judgements, which many of them would prefer to cease as soon as they can. The first striking fact about a four or five year transition is that it is longer than the period under which we could compel individual banks to contribute to LIBOR under the European Benchmark Regulation. Trying to achieve transition within a shorter time would significantly increase costs, risks and disruption. I and my colleagues have therefore spoken to all the current panel banks about agreeing voluntarily to sustain LIBOR for a four to five year period, i.e. until end-2021. This date is far enough away significantly to reduce the risks and costs of a more sudden change. By having a date by which transition will need to be complete, however, we give market participants a schedule to plan to, and make it easier for them to engage as many counterparties and LIBOR users as is practicably possible in that planning. Market participants must take responsibility for their individual transition plans, but we and other authorities will be ready to assist and support efforts to co-ordinate that work. Our intention is that, at the end of this period, it would no longer be necessary for the FCA to persuade, or compel, banks to submit to LIBOR. It would therefore no longer be necessary for us to sustain the benchmark through our influence or legal powers. I am pleased to say that there has been wide support from the panel banks for sustaining LIBOR for this period, though discussions about exactly how such an arrangement would be structured continue. What we have asked for, however, is voluntary support from the whole panel. I cannot entirely discount the risk of earlier panel degradation, or having to fall back to use of our powers to compel, with all the costs and risks of a messier and more costly transition that this might crystallise. Market participants should continue to have those risks in mind as the work on transition gets started. But if the wide support we have received can be converted into an agreement across the panels, we will have increased the time in which an orderly transition can be planned and executed, when compared with a compulsion scenario. An obvious question is what happens to LIBOR after end-2021. And what happens to legacy contracts that still reference LIBOR at that point? The answer to the first question would be up to the benchmark’s administrator – IBA – and the panel banks. They could of course continue to produce LIBOR on its current basis if they wanted to, and were able to do so. But, under this plan, the benchmark would no longer be sustained through the mechanism of the FCA persuading or obliging panel banks to stay. The survival of LIBOR on the current basis, as a dynamic benchmark based on daily submissions and updates, could not and would not be guaranteed. The answer to the second question – what happens to legacy contracts, i.e. those still existing at end-2021, and still referencing LIBOR – depends of course on the answer to the first. It also depends on the preparations that users of LIBOR make in either switching contracts from the current basis for LIBOR or in ensuring that their contracts have robust fallbacks in place that allow for a smooth transition if current LIBOR did cease publication. There is a very important question here to which we need a robust answer, namely whether the better approach to transition would be to amend contracts to reference an alternative rate, or amend the definition of LIBOR through the fallback protocol to replace the current methodology with alternative reference rates. The European Benchmark Regulation requires some regulated firms using benchmarks to “produce and maintain robust written plans setting out the actions that they would take in the event that a benchmark materially changes or ceases to be provided.” It requires that, “where feasible and appropriate, such plans shall nominate one or several alternative benchmarks that could be referenced to substitute the benchmarks no longer provided.” In the context of that requirement to have contingency plans for the scenario in which current LIBOR could no longer be produced, we have discussed with industry participants models such as calculation of a one-off set of term credit spreads, which could be added to the dynamic base of the risk free rates, such as reformed SONIA. That sort of model, and the thinking underlying it, may be useful also for those looking to organise a transition from current LIBOR to an alternative reference rate. That brings me back to the key message that I have for you today. We have worked hard to maintain and improve LIBOR. That work has been aimed towards the destination of interest rate benchmarks that are based on transactions, not on judgements. That offers a better model for those whose data are needed to produce the benchmark. Most importantly, it is also a better model for those that rely on the benchmark. Work must begin in earnest on planning transition to alternative reference rates that are based firmly on transactions. We do not think we will complete the journey to transaction-based benchmarks if markets continue to rely on LIBOR in its current form. And while we have given our full support to encouraging panel banks to continue to contribute and maintaining LIBOR over recent years, we do not think markets can rely on LIBOR continuing to be available indefinitely. Work must therefore begin in earnest on planning transition to alternative reference rates that are based firmly on transactions. Panel bank support for current LIBOR until end-2021 will enable a transition that can be planned and can be executed smoothly. The planning and the transition must now begin.